From the Supreme Court to the RBI, from CBI to Election Commission, various pillars of India’s democracy are under a threat of subversion. As the Modi government nears the end of its term, the list of Constitutional and statutory institutions that are unable to bear its destructive interference, and are openly protesting has been extending day by day. The recent addition is of the Reserve Bank of India (RBI) whose deputy director Viral Acharya has called out the Modi government for impinging upon the RBI’s independence. “Governments that do not respect central bank independence will sooner or later incur the wrath of financial markets, ignite economic fire, and come to rue the day they undermined an important regulatory institution,” he said at a lecture in Mumbai. In January this year, four Supreme Court judges took the never-before step of holding a press conference to voice their protest against arbitrary allocation of cases to benches by the then Chief Justice of India. While this may appear to be an internal fight, the real and unsaid issue was that the CJI was allegedly distributing cases to suit the Modi government. The three rebel judges wanted transparency and accountability so that this perversion in the functioning of one of the pillars of Indian democracy could be ended. They also wanted certain cases to be probed or carried forward, which seem to have got side-lined due to the struggle between the court and the government on appointments. The warning note issued by RBI’s Viral Acharya comes in the background of a series of friction points between the RBI and the government. These include: how to deal with the ‘prompt corrective action’ (PCA) framework for banks with high stressed assets, how to deal with the bad loans or NPAs in general, whether to have a separate payments regulator independent of RBI, and whether government should repeatedly dip into the RBI’s reserves and capital to bolster its own balance sheet. These may seem to be arcane policy issues—and may have their respective merits and demerits—but the fact that the government is determined to interfere in the functioning of the RBI to suit its own goals, and in fact try to weaken it by setting up parallel and more pliant regulators for some matters is a dangerous game. As Acharya has hinted, the government will have to rue it one day. And, as Acharya has not said – the people of the country will have to pay for this in future. In the RBI’s case, the protest has come after the sorry episode that the country watched during the disastrous demonetisation of November 2016 when the RBI Board was informed hours before the decision, to demonetise 86 per cent of the currency in circulation, was announced the PM Modi on November 8. It was a saddening spectacle to see the RBI totally bypassed as one of the most foolish decisions of the Modi government was rammed through the RBI Board, and imposed upon the country, causing untold hardships to the people. The Modi government has also appointed S.Gurumurthy, an RSS ideologue, to the RBI Board. The recent war between the top two officers of the CBI also appeared to be an internal spat, but was actually a direct result of the Modi government first appointing its favoured nominee Alok Verma as the director in January 2017, and then putting his back up by inserting another favourite Rakesh Asthana as his number-two. After the Verma-Asthana fight came out in the open, the government arbitrarily, and perhaps illegally, sent both of them on leave, and superseded the incumbent number-three officer – Centre’s third favourite, Nageshwar Rao – the interim director. The CBI’s role as a handmaiden of the central government, its misuse to target opposition parties and political targets, and the concomitant growth of the corruption inside it have destroyed an agency that was supposed to be in the frontline of the fight against corruption in high places. While this hollowing out of CBI has undoubtedly been going on for decades, the Modi government’s usual flagrant interference has led to the ongoing implosion. The Supreme Court’s intervention of asking the CVC to look into the charges against Verma shows the fraught and vulnerable nature of the organisation. This is a Constitutional body that appears to have buckled under the government’s pressure, going by media reports. At least two instances of flagrant partisanship have been displayed by the Election Commission: one was its decision to delay the announcement of Gujarat Assembly polls schedule in 2017, allegedly to allow the PM and his party to continue distributing largesse in the state; and two, the hurried and unseemly disqualification of AAP MLAs from Delhi on the office of profit charges, after which the Supreme Court rejected the EC’s decision, and castigated it for not looking at the whole thing more thoroughly. The EC has thus far not displayed, publicly at least, any resistance to government pressures. Although it continues to go about its business in the usual manner, holding elections at different levels, the coming months will be a test for its mettle, as there are crucial assembly elections coming up followed by the all-important general elections in 2019. In a move to curb the use of Right to Information (RTI) Act to expose government malfeasance, the Modi government has moved amendments to the Act itself, which do away with the present five-year fixed term for information commissioners both at the Central Information Commission (CIC) and State Information Commissions (SICs). The amendments also enable the Centre to prescribe the term of office, salaries and allowances, and other terms and conditions of service of chief information commissioners, and information commissioners at both central and state levels. In this case, the government has attempted to subvert the RTI Act and its machinery through pushing amendments – a legislative way of curbing transparency and accountability. In the process, the whole mechanism of information commissions will be made dependant on the government, further weakening it. The Central Vigilance Commission, another statutory body, has been headed by a Modi appointee KV Chowdary since 2015. At the time of his appointment, several eminent persons had raised a red flag saying that there were allegations of his involvement in various criminal/corruption-related cases including the Nira Radia tapes case, the Moin Qureshi case (which involved the present warring CBI officers too), and others. However, the government went ahead with his appointment. The CVC’s role in “sorting out” the ongoing CBI imbroglio is well known. The CVC is the supervisory body for CBI. 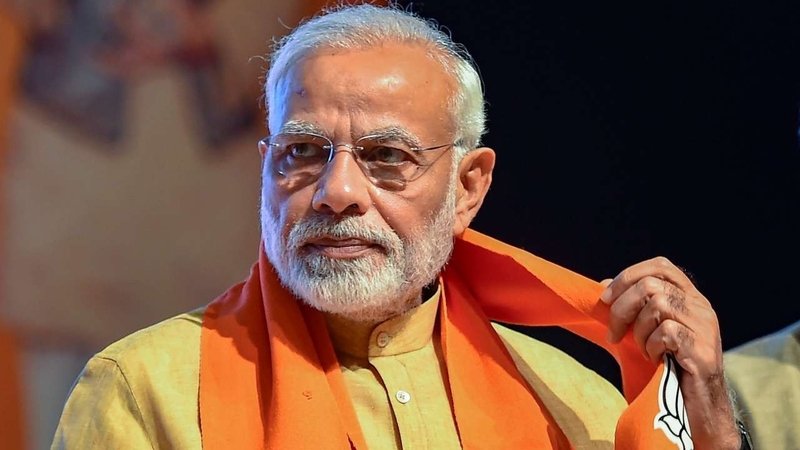 In many other official bodies ranging from the UGC to top officers in research and academic bodies including university appointees like vice chancellors, the Modi government has played fast and loose, freely appointing its own supporters, and thereby tilting the balance in favour of their ideological positions. These appointees have also played an active role in destroying democratic functioning in the institutions they head, as most flagrantly brought out by in the case of JNU and its BJP-supporting VC.